What do people know about what we do? Show us the money: what money? You mean… I have to sell myself constantly? Tattoos, piercings, and purple hair: proceed with deliberation! Who pays for the hunting road trip? Three common myths: don’t believe them! Chapter 7: Knowing where you want to go: plan… but let chance have a chance! But don’t good ideas sell themselves? If money isn’t involved – what about grassroots support for an idea or initiative? How are credibility and social capital built? What does grassroots persuasion ‘look like’? What is the definition of ‘manager’? What does a manager ‘do’? How can one learn to become a (better) manager? There has to be a way! What is in a compensation package? What is in a benefits package? What is meant by mentoring? Where do you start? Just go ahead! Click Here to view the official page for this title on Facebook. Jill Hurst-Wahl is president of Hurst Associates, Ltd. And Professor of Practice in Syracuse University’s School of Information Studies. 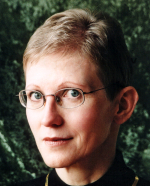 Her involvement in libraries and the information industry spans several decades and includes staff and management positions and work as a consultant. She also has experience in broadcasting and information technology. 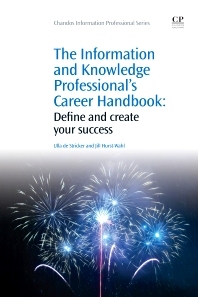 Hurst-Wahl frequently advises and mentors those who are interested in a career in the information industry.